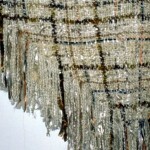 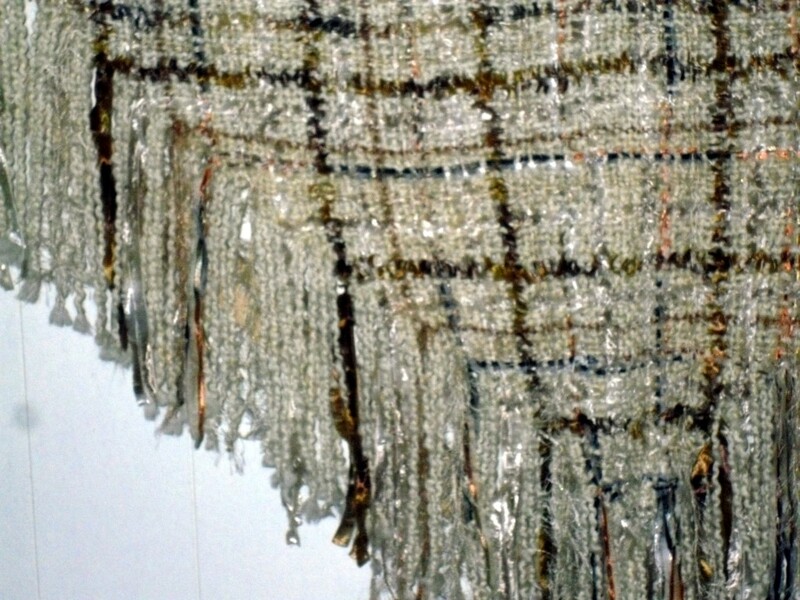 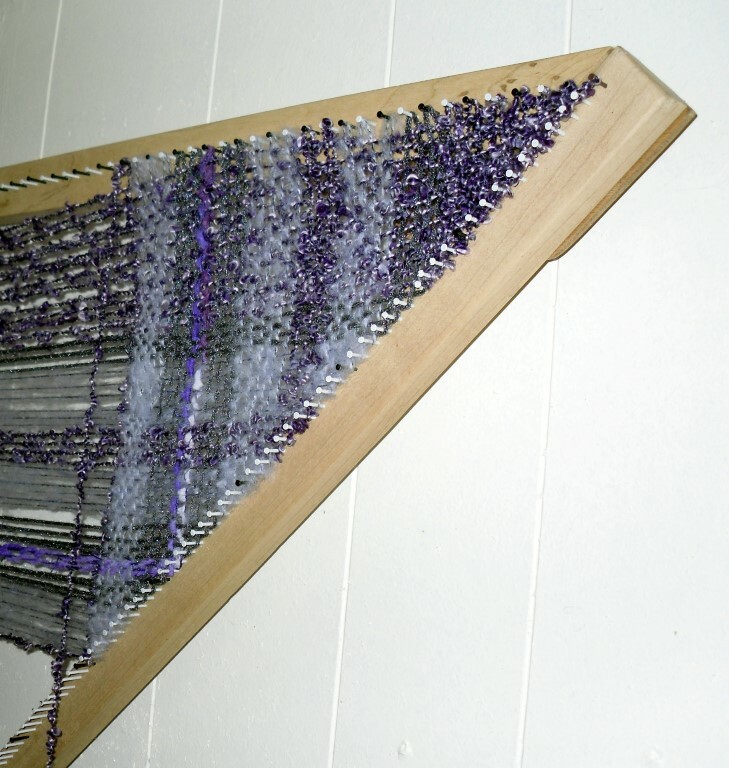 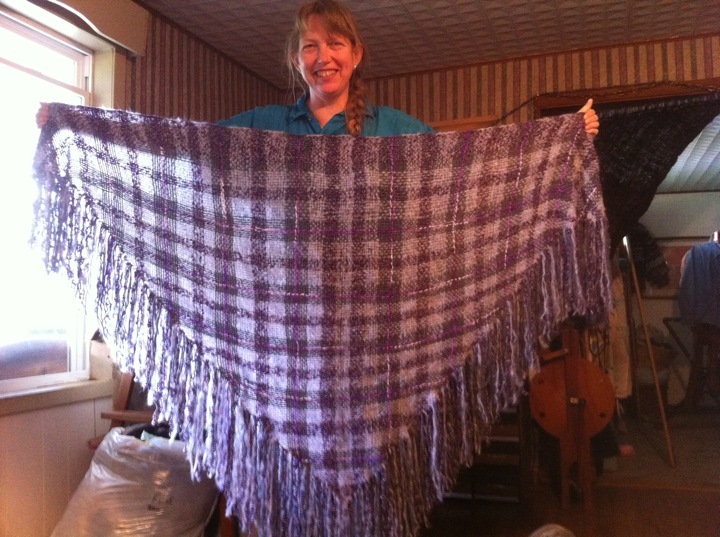 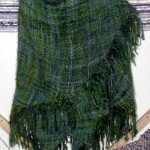 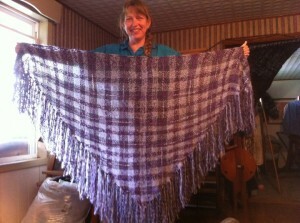 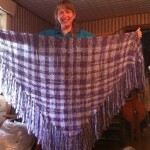 Jeanette uses one of Shawn’s 7 foot TriLooms to create some stunning shawls. 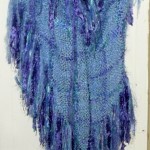 These shawls are unique not because of Jeanette’s eye for color and texture (something her daughter inherited and used in the creation of some of the family’s brooms), and not because of the handspun yarns she often incorporates into them, and not because of the fascinating patterns and finishes, and not because of the unique, no warp, continuous loop method of weaving she uses, and not because of the perfect (for a shawl) triangle shape. 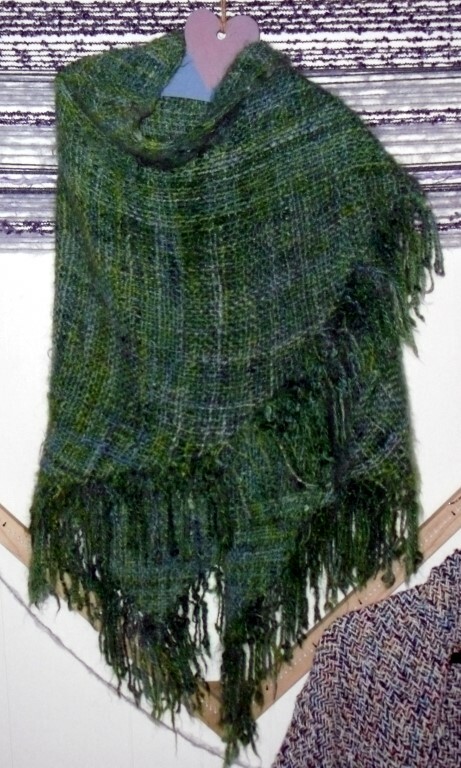 It’s all of these elements and more that make each shawl that comes off of Jeanette’s TriLoom a one-of-a-kind wearable work of art.